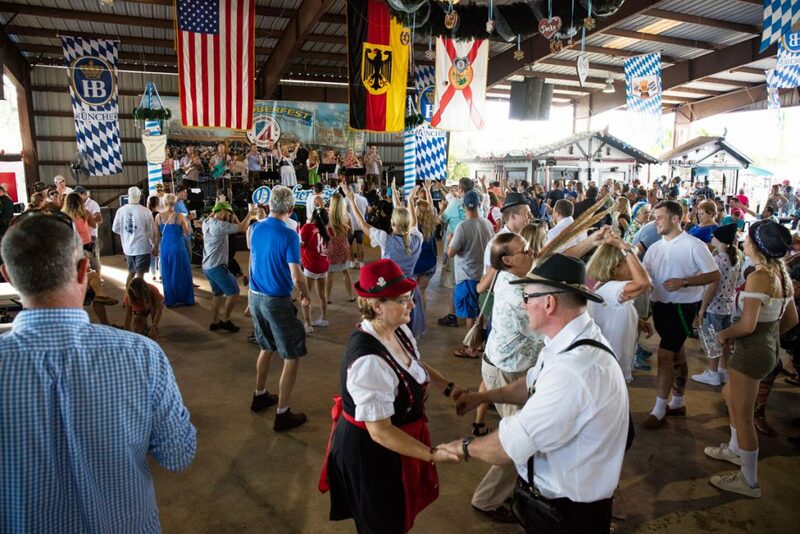 With live music imported directly from Munich, and an assortment of authentic German cooking, beer, carnival rides with a kids' zone, this festival at the American-German Club of the Palm Beaches is fun for everyone. Most world renown festivals start with a celebration of some kind. Oktoberfest started on October 12, 1810, when the citizens of Munich, Germany, were invited to join the festivities that lasted five days in the fields in front of the city gate to celebrate the happy royal wedding of Bavarian Crown Prince Ludwig to the Saxon-Hildburghausen Princess Therese. In honor of the princess, the field was called “Theresienwiese” [Teresa’s meadow], shortened to “Wies’n.” The ceremony included a horse race and a feast for the whole of Bavaria. The next year, this celebration gave rise to the Oktoberfest tradition. Two centuries later, the party is still going on. One of the largest in the country, the American-German Club of the Palm Beaches’ Oktoberfest is hosted by the club’s volunteer members, and is open to the public during the second and third weekend of October [this year, October 13 – 15, and October 20 – 22]. 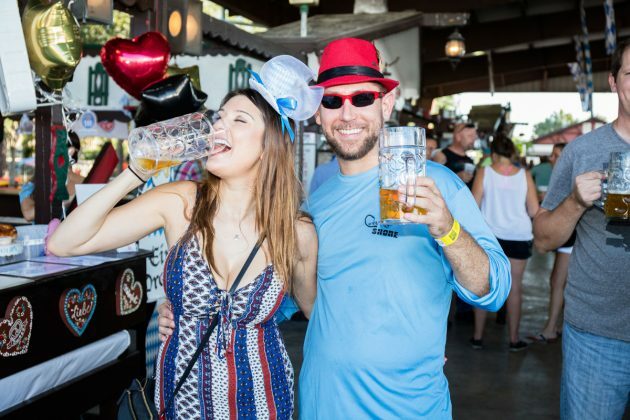 Oktoberfest is a fun event. There’s live music coming directly from Munich as well as an abundance of traditional German food and, of course, delicious German beers. And it really is a family fun event, with activities that also include arts and crafts for the kids. Among all the food, folk dancing, beer, goodies, beer, and [did I say beer? ], there’s also shopping. 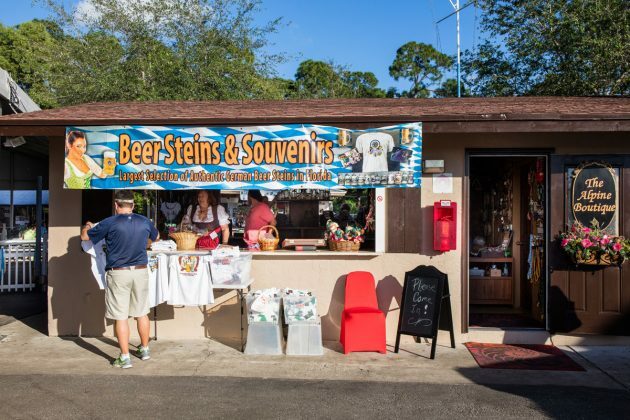 The people’s choice is The Alpine Boutique, where you can find German memorabilia like Black Forest cuckoo clocks, as well as authentic German hats, dresses, Christmas ornaments, pyramid windmills, and of course, beer steins. 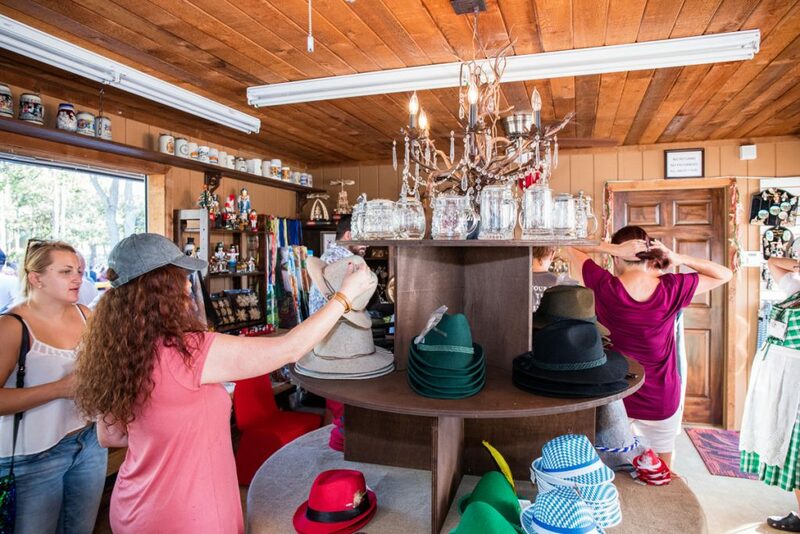 Ursula Stanton, who runs The Alpine Boutique, bought all the hats in Munich and 90 percent come from Bavaria. Once a year, she travels to Munich and buys the boutique’s merchandise directly from the Bavarian manufacturers. “The puzzles, paintings, and jewelry are all hand-painted in Bavaria; we try to be as authentic as we can,” she explained. The Chic Boutique is located under the big tent and offers a superb line of original German Dirndls [attire], plus a wonderful collection of women’s hats, hat pins, feathers, and fashionable belts that women wear for dancing. Other great pieces include hand made European jewelry and Christmas Ornaments. But the hottest items in the petite store are the vibrant German Dirndls that are inspired from the culturally rich Bavarian and Alpine regions of Germany. The outfits come in various sizes for men, women and children, and are imported from Frankfurt, Bavaria and Lindberg. 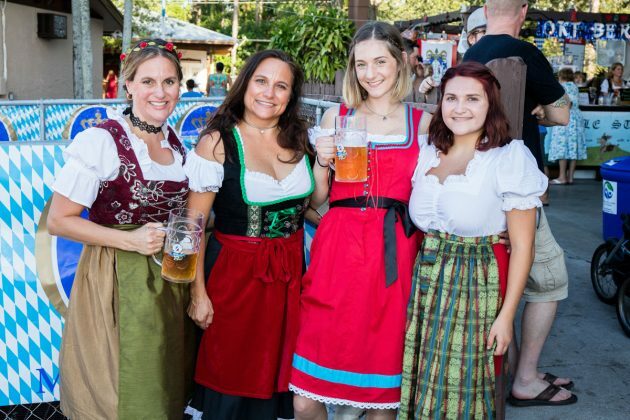 According to Heike Heise, “Every little town has its own style in costume.” Heike works with Stanton, and together they have been preparing for Oktoberfest since May. 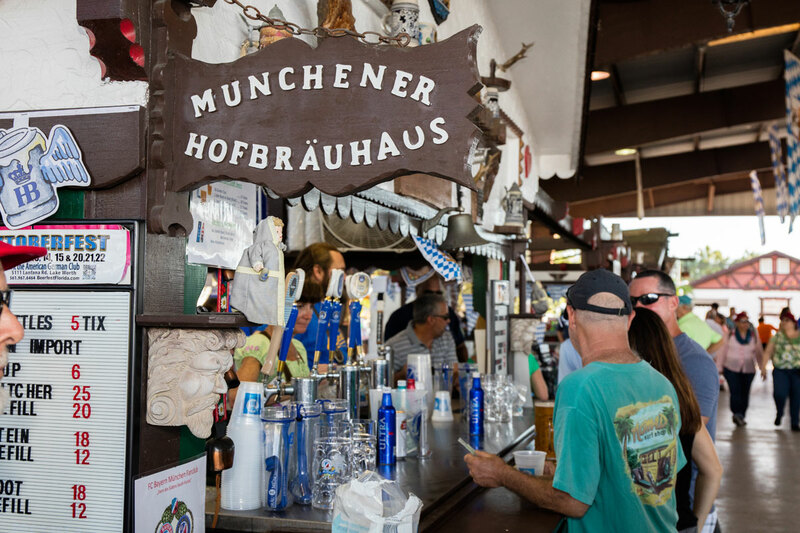 Oktoberfest here might not be the 18-day festival like the one in Munich, but it features numerous attractions, amusement rides, side stalls, games, food and beer. 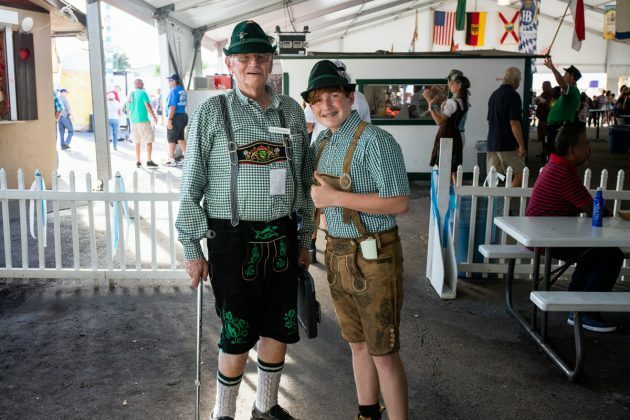 In Palm Beach county, it is the single largest event for the American German Club of the Palm Beaches highlighting the German culture. 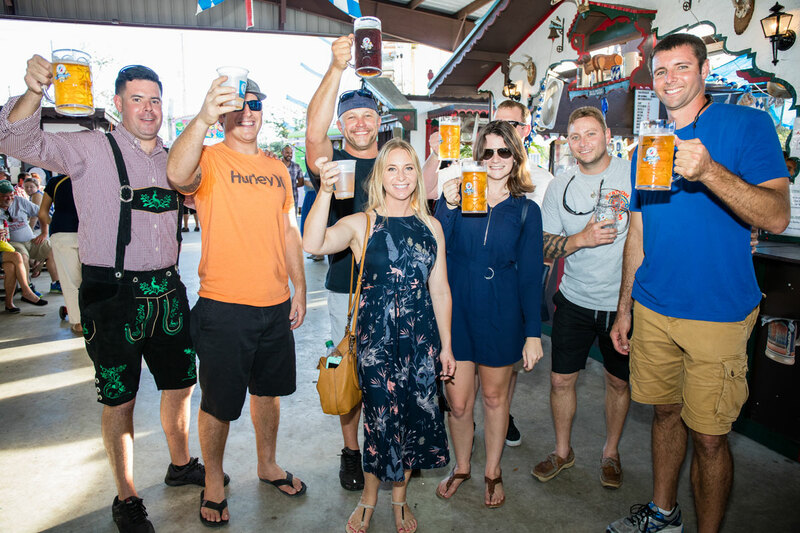 This year, among eight contestants trying to represent the club’s biggest party, a panel of judges chose Chelsea Raleigh, who has been celebrating Oktoberfest since she was a little girl in Cincinnati. 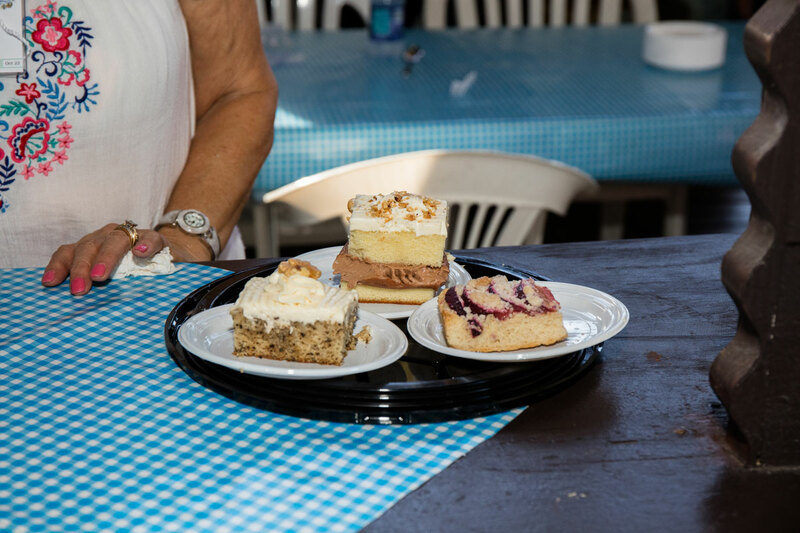 “I grew up in the German culture, stealing Lebkuchen cookies from Grandma’s cookie jar!” Raleigh said. Raleigh ran for Miss Oktoberfest, because as she says, the Club provides a warm, welcoming German atmosphere that appeals to everyone. Now she will represent the club and bring attention to year-around events such as one of her favorite, Fruhschoppen [German Sunday Brunch]. 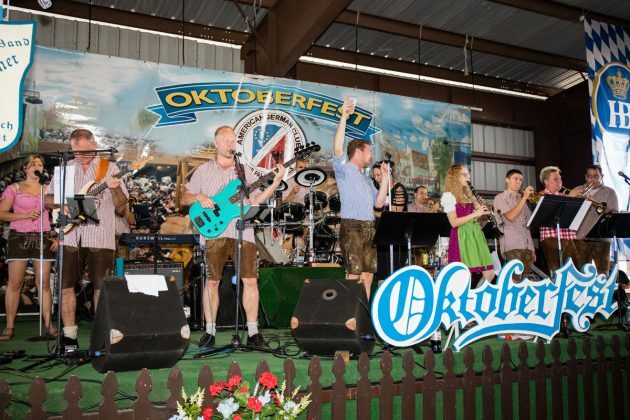 From men and women dressed in historical costumes, Beer Keg Tapping, to live performances by HHBB, [Heldensteiner Heu Bodn Blosn], a Munich-based party/showband that has been playing at the American-German Club of the Palm Beaches’ Oktoberfest for ten years, this party should not be missed. HHBB had everybody on their feet last weekend. With slightly cooler temperatures now, thrilling Halloween events already happening, perhaps the best of all this weekend is Oktoberfest. To plan your visit, check americangermanclub.org for all that’s happening this weekend, hours, parking, schedule of events and more details. Learn about the best Oktoberfest festivities, one of the largest in the country, happening in October at the American-German Club of the Palm Beaches.